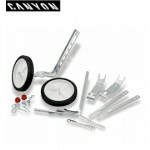 Specially engineered set for use on larger wheel bikes and will support up to 80kg riders. This kit has been designed for adults either starting or returning to riding and for those with balance difficulties (and drink problems). Fully adjustable between 20 and 26 inches with full fitting instructions. 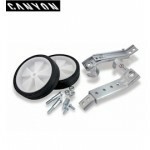 Canyon Stabiliser 20" to 26" (CYA501) .